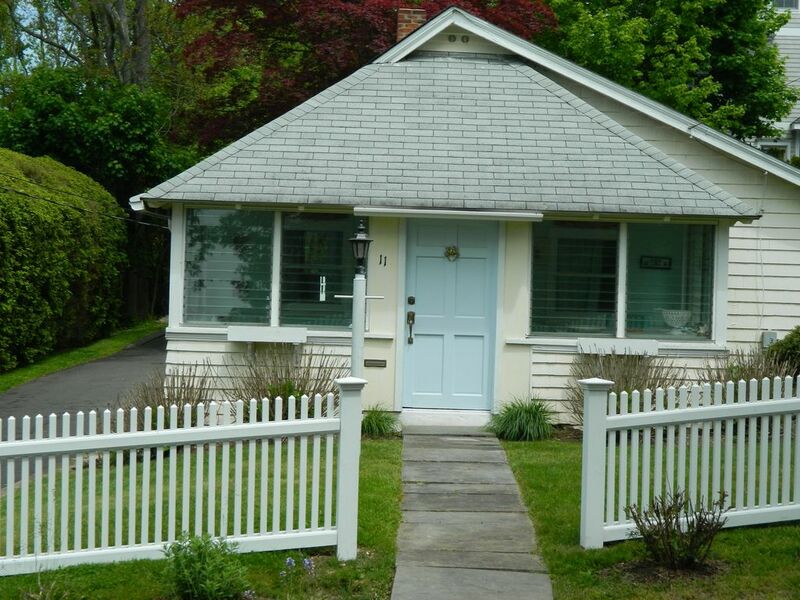 Rowayton Bungalow- Booking Summer 2019!! Rowayton is a great beach community only 45 min from New York City. The beautiful village is located on Long Island Sound, and feels like Nantucket. Relax in the gardens or spend the day enjoying everything the village has to offer. Bike to the beach. Walk or bike 2 blocks to the restaurants, bars, concerts, gourmet markets, boat rentals and ice-cream shops. Within walking distance to the train. Beach Parking Pass Included! Save money on stays over 30 days! The taxes will be waived. Beach Towels, Umbrella , Beach Chairs, Beach Pass. Patio with perennial gardens and living room, children's toys, walk to train, 2 parks across street. We have spent multiple weeks the past 3 summers in the wonderful home. It is absolutely immaculate and charming in every way. It has everything you need to relax and enjoy a home away from home. It is walking distance to the village for restaurants and shops as well as close access to the train and highway. The owner is amazingly responsive and a lovely person. We feel so lucky to be able to share this lovely home while visiting CT in the summertime. We look forward to many more summers. While we live in London now we wanted to come back to CT to visit family and friends. We found this adorable cottage on VRBO and were thrilled with all it had to offer. First, Rowayton is fabulous. With a short walk to the village and beach it offers a very relaxed, beach-side community feel. There are many wonderful restaurants in town and a convenient grocery store. The cottage allowed our family to enjoy our return in comfort and style. It was clean, comfortable, and charming. Every amenity was available. We had our friends come for cocktails one evening and then we all walked over to one of favorite restaurants. They actually didn't want to leave the cottage! The owner was so helpful and available for all inquires. Fresh cut flowers were displayed in the house! It was a real homecoming for us. We would highly recommend this beach bungalow for families visiting Rowayton. Stayed at this property while visiting family in CT. Spent a week with my 2 children and had a wonderful time. The house is small but very cozy with all of the amenitites. Also conveniently located within walking distance to Rowayton Town Center and a short drive to Braylee beach. Also close to I95. Landlords very accessible for any questions and house was very clean upon our arrival. We will come back again. Great little cottage with lots of charm. Puts you instantly into the beach feel. Kids loved the long drive to play in, which is off the main road. Loved the cucumbers and tomatoes that were in her garden. Close to everything and so great to be in Rowayton. LOVED IT! Free Concerts , Free Theatre and Friday Farmers Market across the street.